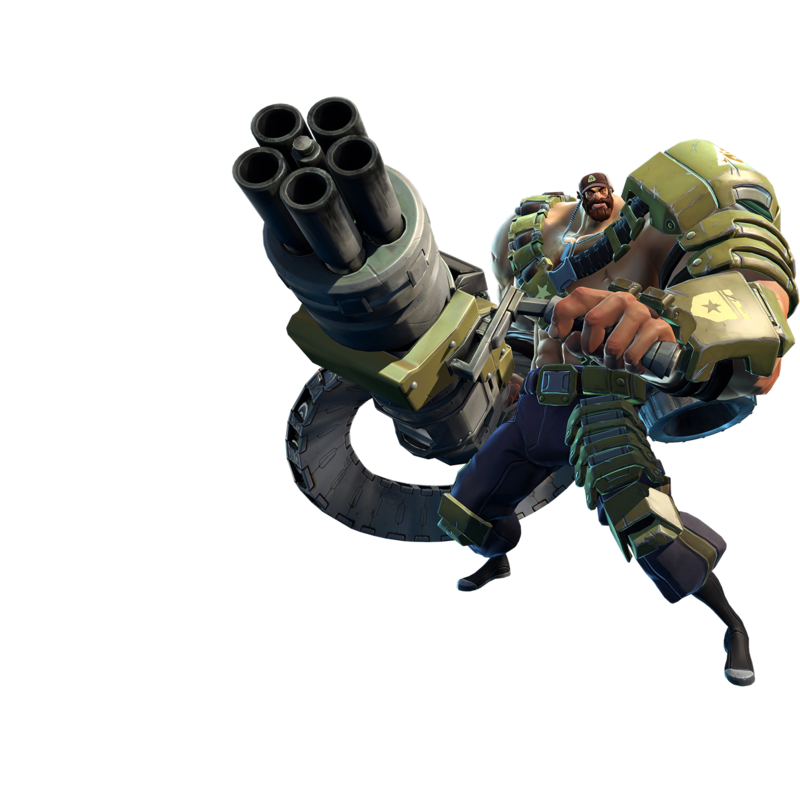 When he’s not clotheslining bears for fun, Montana can be found suppressing enemies with his fearsome minigun and soaking up industrial-sized buckets of hurt on behalf of his comrades. 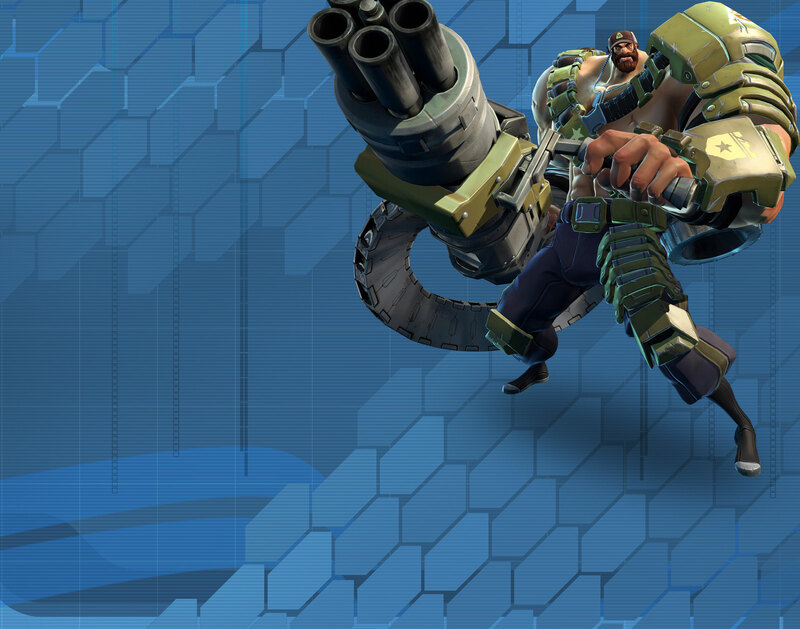 Self-appointed morale officer of the Battleborn and friend to all. Montana dashes and collides with an enemy, dealing damage and knocking them back. If the hit enemy hits an object or ally, they are stunned for a short time. Stomp the ground, dealing damage and knocking up nearby enemies. Montana takes reduced damage for several seconds after. Increases Lumberjack Dash's dash distance. Increases Montana's maximum shield strength. Lumberjack Dash deals extra damage to enemies while Hailstorm is active. Reduces the cooldown of Lumberjack Dash, allowing more frequent usage. Increases Minigun accuracy while Hailstorm is active. Your bullets burn enemies, adding bonus damage over time. Increases Minigun heat accumulation per shot fired when Hailstorm is active. Increases Lumberjack Dash's impact damage. Increases weapon damage while Hailstorm is active.